2 Way Toroidal Ferrite Power Dividers - Taylor Microwave, Inc.
TMI’s 2 Way Toroidal Ferrite Power Dividers are low cost, High performance low loss ferrite balun transformer design. 1-Bandwidth Available up to 36:1 ratio. Power rating is for load VSWR better than 1.20:1. 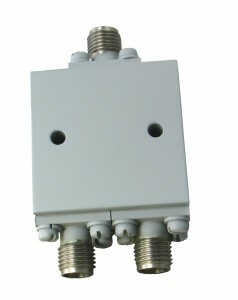 BNC, TNC, N, and F connectors available.